Congratulations to Dawn Peddie for completing Center Point Yoga School’s Yoga Teacher Training (RYT 200)! Dawn will is ready and eager to share the gift of yoga. She teaches groups, private and she specialized in children's yoga. Contact dpeddie17@aol.com to set something up with her! "After spending over 15 years working in the television advertising world, I decided to take a break and stay at home with my daughters. During this time our family relocated to Florida and I began to dive deeper into my Yoga practice. I met Wendy and started taking her classes continuously each week for a year. 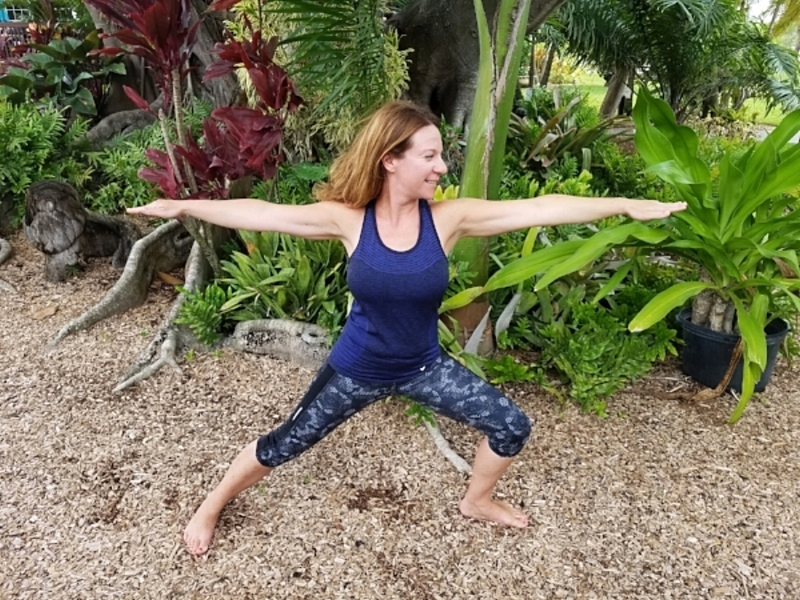 On my 40th birthday, I made a promise to try and explore something completely out of my comfort zone and decided to begin my Yoga Teacher Training with Wendy. This was the best decision I ever made because I learned so much about myself both spiritually, emotionally, mentally and physically. Working with Wendy was an unbelievable experience as she is an extremely knowledgeable, kind, and supportive teacher. During my training experience, I started to practice on my daughters and noticed how much they both embraced the practice of Yoga. Also, I noticed how Yoga aided my older daughter to focus more in her classroom environment. I feel that technology and media has made it very challenging for children to stay focused today. I am a huge advocate of acquiring more yoga practices into the classroom setting. Words cannot express how much I thank Wendy for the many hours she spent guiding me through this incredible journey. I look forward to passing on my yoga expertise to my family, friends and future students." Center Point Yoga School is a small group gathering that begins when you are ready. The training is a more flexible 200 hour teacher training program that has the freedom of individualized curriculum. Click here for more information. Space is limited!